In the last year and a half, Hungary has been doing fact-finding and organisational work with the active involvement of stakeholders, and has started to become more actively involved in the policy work at EU level (e.g. more active participation in the SCAR-AKIS SWG and SC2 PC). In the last few years, many successful events haev been organised, during which topics and challenges specific to the region were identified by agricultural stakeholders, especially those relevant for Hungary. The topics listed under the menu item ‘What is the thematic scope?’ have been identified, including the areas related to agricultural production, food systems, bioeconomy, social and rural challenges. The identified topics still require regional validation, however in the case of the topic ”veterinary diseases spreading across borders” a regional cooperation agreement has been signed by the participating actors. 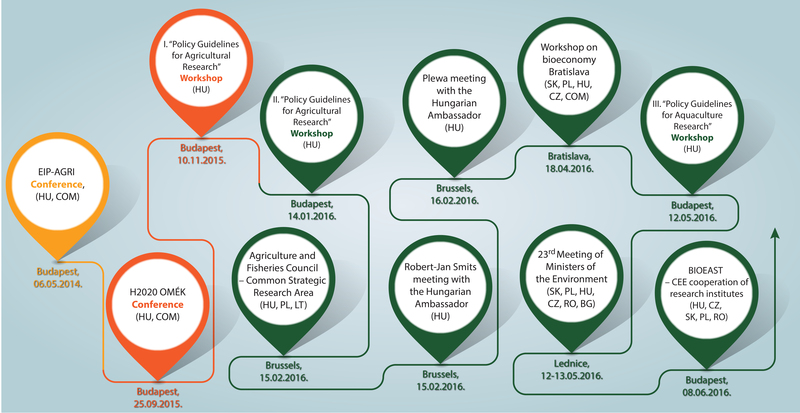 The identified topics are in line with the targets of Hungary's National Smart Specialisation Strategy (S3 Strategy), contribute to the long term agricultural and innovation strategy of DG AGRI (“Towards a long-term strategy for European agricultural research and innovation by 2020 and beyond”) and are connected with the Bioeconomy strategy. Hungary is making an attempt to establish professional and political cooperation among countries of the region. We would like to introduce the initiative as Central-Eastern European Knowledge-based Agriculture and Bioeconomy and ask for the support of the European Commission and the Member States for this very important initiative for the common future of the EU.